Feeling motivated to get organized for the new school year? Here are some clever tips and tricks to help gear up for the back to school season. Tip 1: Create a family command center. Family Command Center Get a jump on the scramble by taking some time to create a family command center. 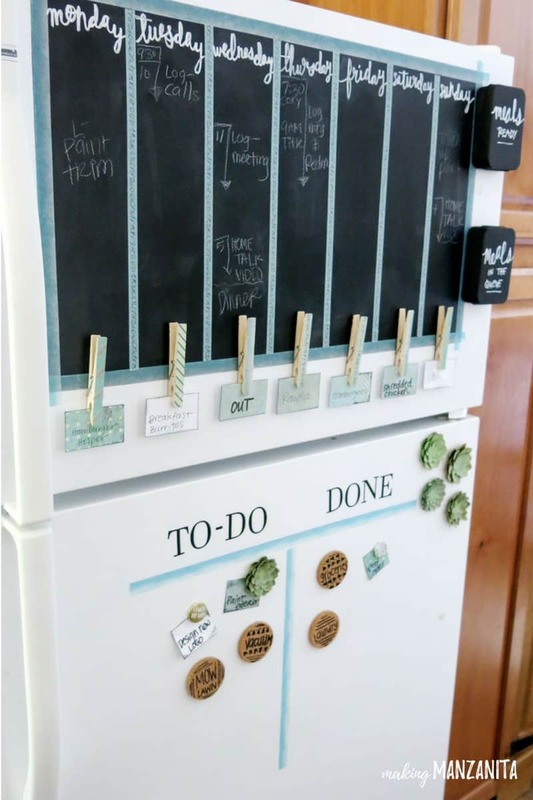 This vertical organizational system helps keep track of your family’s weekly events, daily chores, paper clutter, and more. 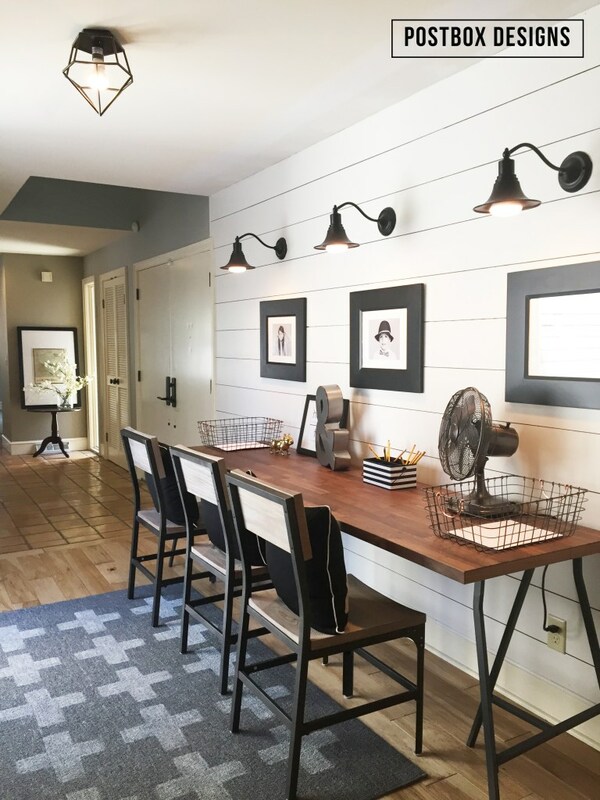 Mounting tape and a few wall organizers is all it took to create this functional Family Command Center by DIY Decor Mom. DIY Magnetic Calendar Our House Now a Home created this Magnetic Calendar Command Center in a hallway using magnetic chalkboard paint, some hooks, and baskets! Refrigerator Command Center No wall space for a command center? Take a tip from Making Manzanita and create one on the front of your refrigerator! Tip 2: Create a dedicated area for homework. Multiple Kid Homework Station Setting up a homework station will help eliminate after school stress. Your kids will know exactly where to go to begin and finish their homework, and that is more than half the battle once the end of the school day bell rings! Isn’t this idea from Postbox Designs just gorgeous? Customized Cabinet Study Nook A customized bookshelf inside a double cabinet hides a clever study nook! 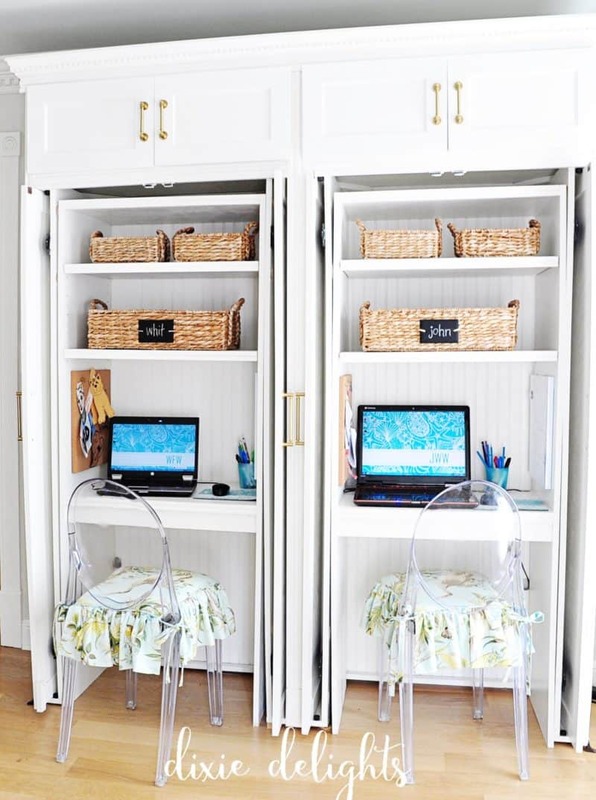 These two side-by-side study units were designed by Dixie Delights. Small Space Homework Station If you’re short on money and time, a study space really can be as simple as a sturdy shelf mounted on the wall! 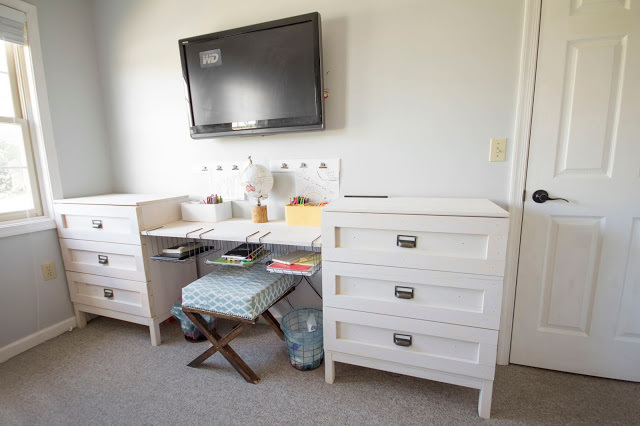 Two dressers flanking a shelf hung on the wall with l-brackets is all there is to this ingenious Ikea Hack Homework Station by Grosgrain. 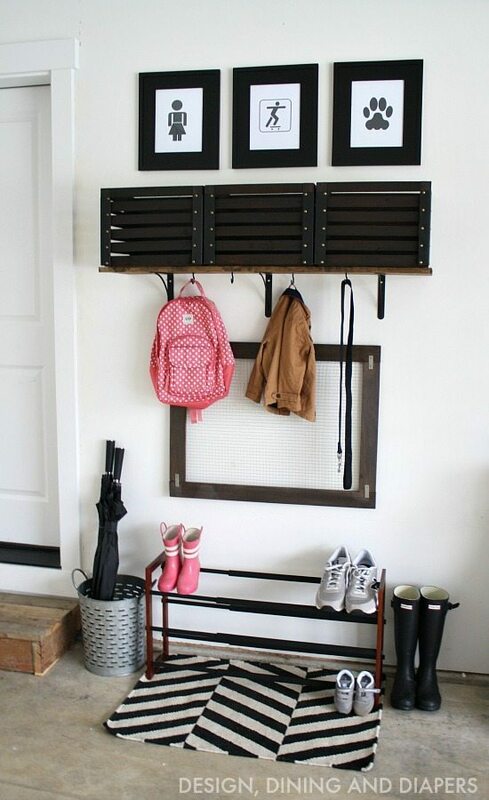 Tip 3: Organize backpacks with a backpack station. 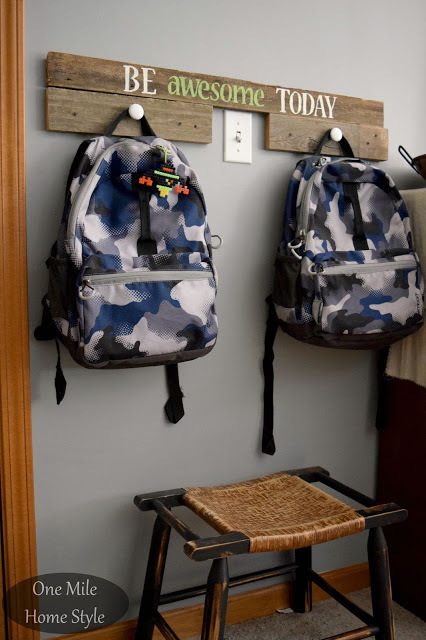 Garage Backpack Station Whether you have a mudroom or just space for a few hooks on the wall, corral backpack clutter with a designated backpack station! Turn a simple wall into a drop zone by installing hooks that double for holding jackets too! No space indoors? No problem! 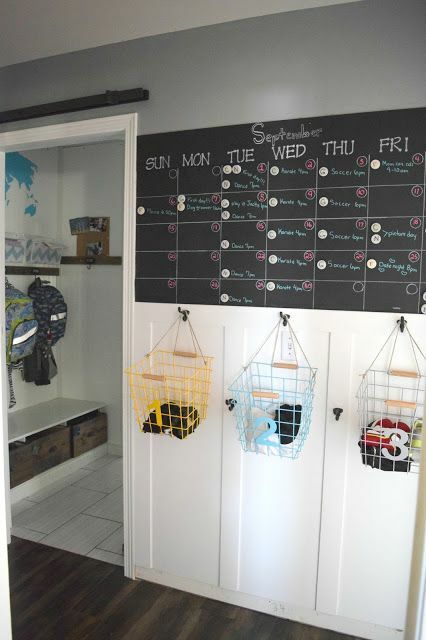 This DIY Garage Backpack Drop Zone by Taryn Whiteaker is a great example of how to keep the clutter cute and contained within the garage. Board Backpack Holder I love this idea by One Mile Home & Style of creating a Simple Reclaimed Wood Backpack Station using reclaimed wood and knobs. 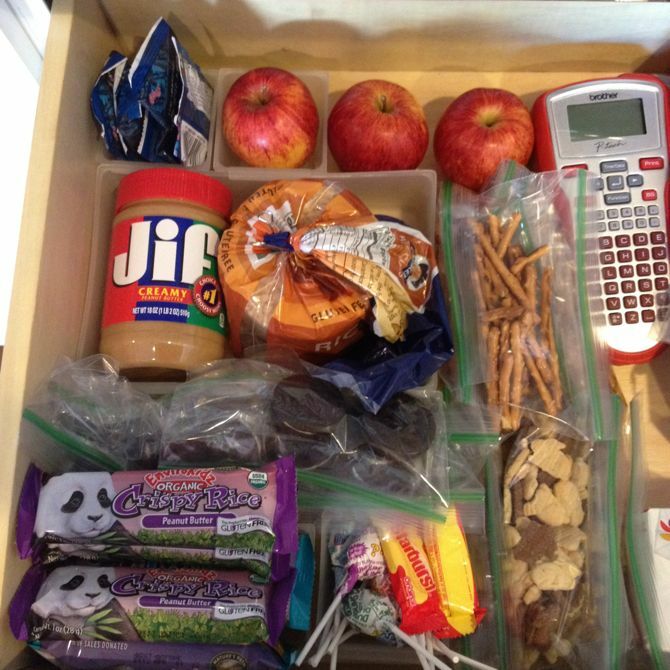 Tip 4: Keep homework supplies organized and ready to go! Mobile Homework Caddy Don’t let homework be waylaid by missing homework supplies! 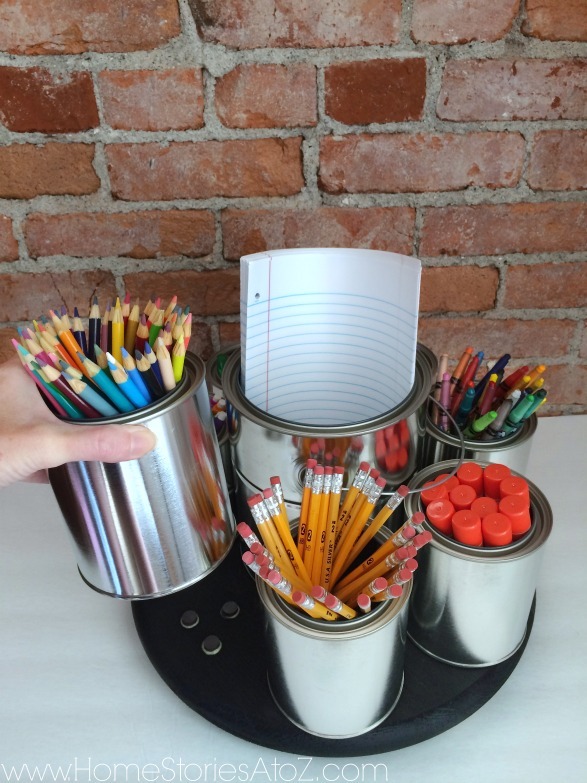 Put together a mobile caddy stocked with homework essentials such as pencils, paper, scissors, colored pencils, and glue sticks. This DIY Lazy Susan Homework Caddy tutorial teaches you how to make your own! 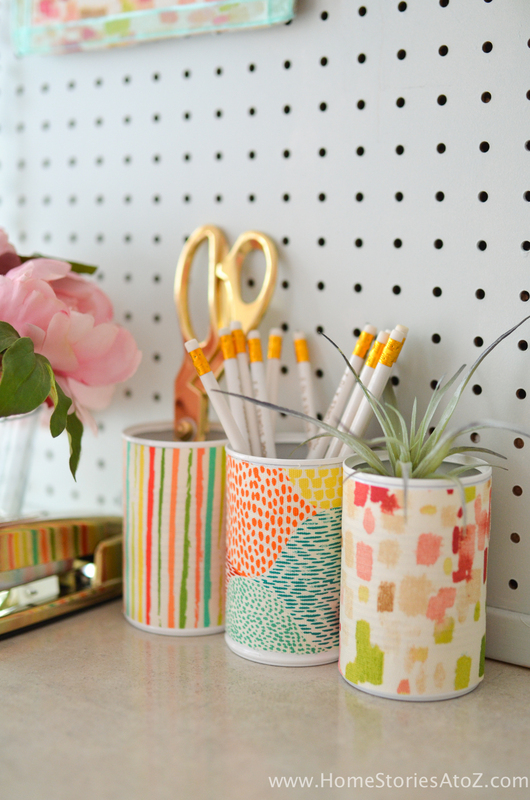 Inexpensive Tin Can Organizers School expenses have you down? Glue some scrapbook paper or fabric onto clean cans from the recycling bin to create beautiful and functional homework supply organizers. Mason Jar Desk Organizer Organizing school supplies at home can be as simple as using a few mason jars and some scrap wood! 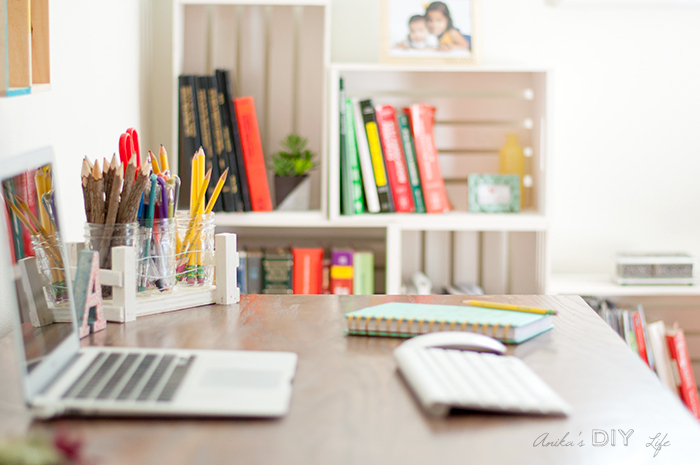 Learn how to make this cute Mason Jar Desk Organizer by Anika’s DIY Life. Cute Lap Desk Does your student prefer to work in bed or on a cozy chair? Solve the problem of finding a cute lap desk by making your own with this DIY Lap Desk tutorial by Designers Sweet Spot. An old belt, plaid shirt, and piece of wood are just a few of the supplies you need to create your own! Tip 5: Organize all school clothing with clean closets! 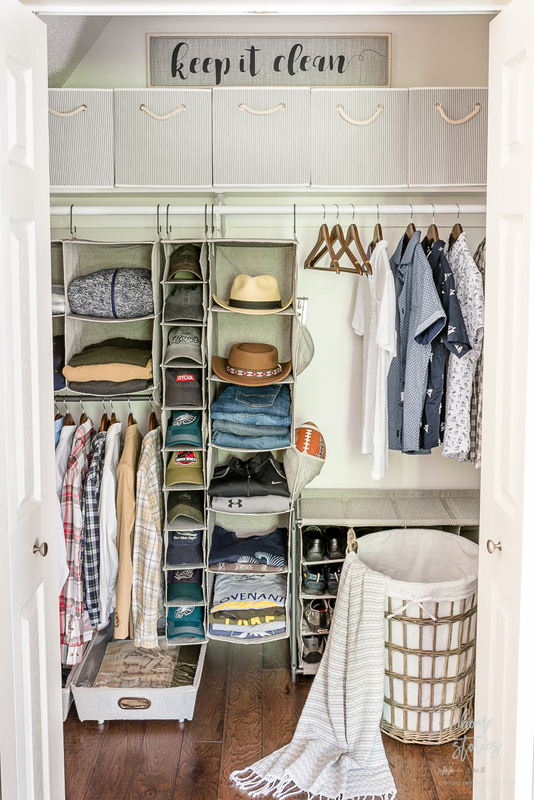 Hanging Closet Organizers Before heading out for back to school shopping, be sure to organize your kids’ clothing closets and dresser drawers. Investing in some inexpensive hanging organizers is an easy way to keep things tidy for the school year. School Outfit Organizer Avoid last minute indecision and morning clothing disputes with a clothing organizer. Let kids choose outfits for the week ahead of time and place each day’s outfit in a special bin, on a labeled hanger, or in a dresser drawer. 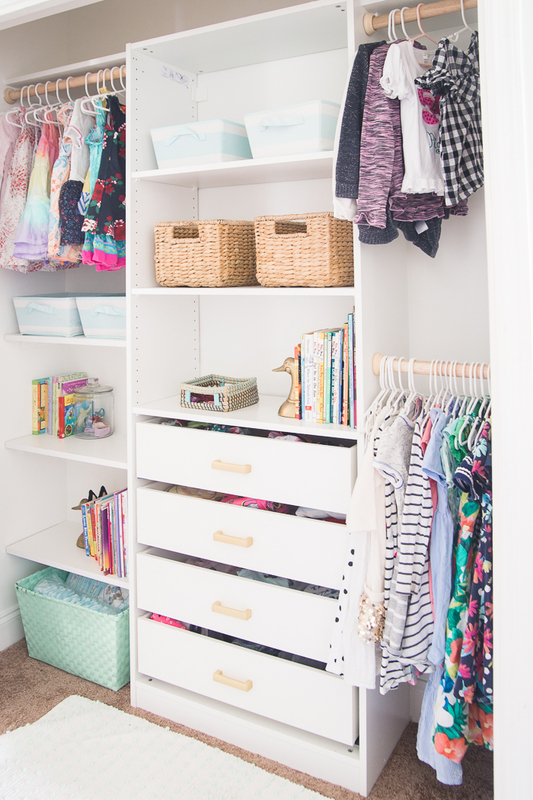 This Kids Closet Makeover by Making Home Base is a budget-friendly example of how to help little ones keep school clothes tidy! 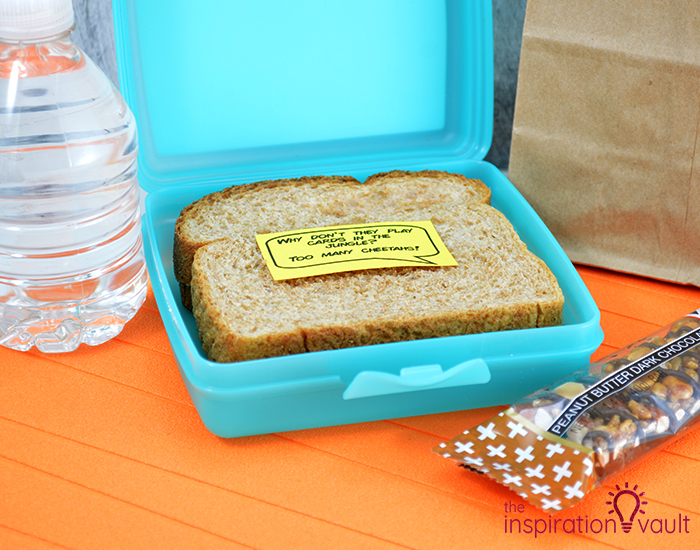 Tip 6: Keep school lunch supplies organized together for easy grab and go lunches! Snack Drawer Station Solve the stress of back-to-school lunch making by creating a dedicated lunch drawer filled with lunch making essentials. Stock the drawer with healthy grab and go snacks, sandwich supplies, lunch baggies, paper napkins and plastic cutlery. Lunchbox Notes Stay connected through lunch box notes by writing jokes or notes of encouragement on paper napkins ahead of time! You can also download these Free Printable Lunchbox Jokes from The Inspiration Vault. 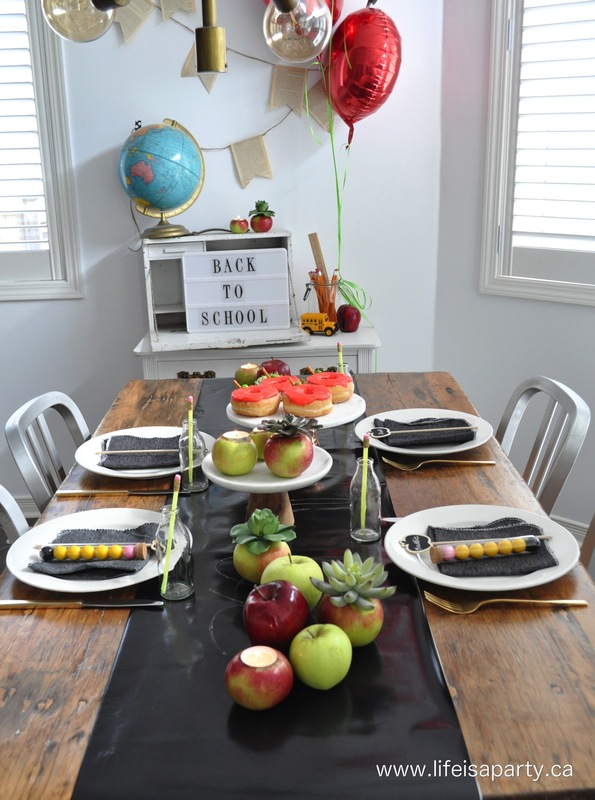 Tip 7: Make Back to School a time to celebrate! Back to School S’mores Party New beginnings and new milestones should be celebrated! 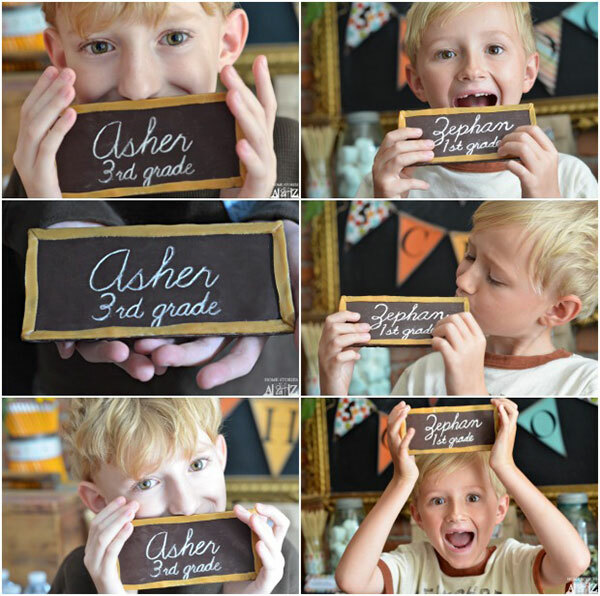 Ease anxious feelings and first-day jitters with a Back to School S’mores Party complete with edible chocolate bar chalkboards. Back to School Family Dinner Welcome your students home from school the first day with a special school themed dinner! Life is a Party has carried on this tradition for six years and has all of the blog posts and ideas to prove it! Getting the kids back to school ready can be expensive! 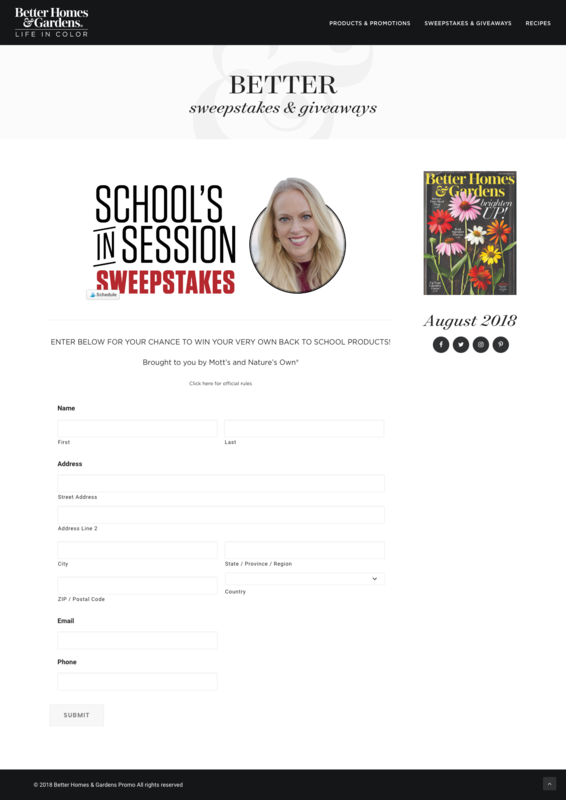 Click on the picture below and enter here for a chance to win your very own back to school products! 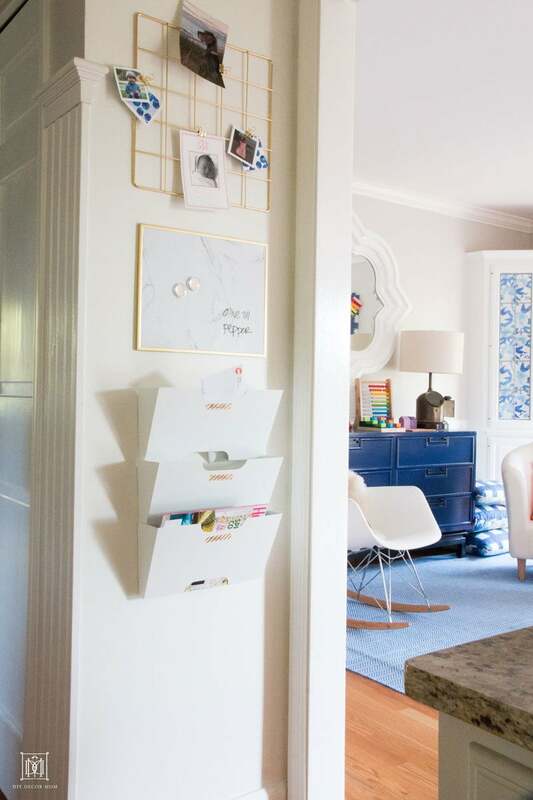 Kristin I just LOVE what you did with this cute and functional space! All of your designs are perfection. Thanks for allowing me to share you! WHat great projects and ideas! Loving all of them…entered! Huzzah to back to school….